> Blog > Why Sell Cell Signal Boosters over Active DAS? As a WilsonPro representative, you strive to provide comprehensive solutions to your customers at the best value, while maximizing the time you spend interacting with prospects. 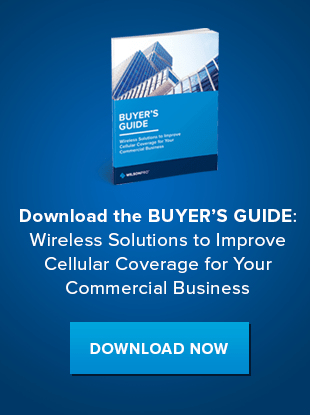 Numerous options exist in the marketplace to solve even the most severe cellular connectivity problems, but which of them generates the highest return on your sales effort? While an active Distributed Antenna System (DAS) offers a robust and high-capacity cellular connectivity solution, the cost and infrastructure-intensive nature of installation means it’s only a realistic solution for a small group of users. Cell signal boosters, on the other hand, create the opportunity for higher sales conversion due to its more reasonable cost and installation requirements. 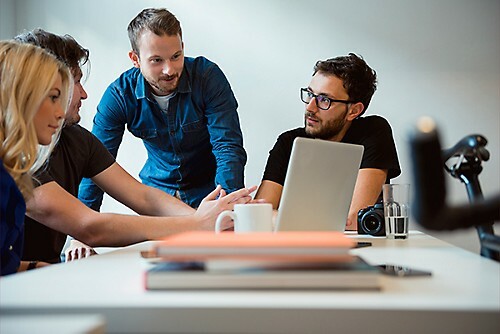 Let’s take a look at a few of the reasons why selling passive DAS as well as active DAS leads to greater customer satisfaction, in addition to it being a more efficient use of your sales time and effort. A passive DAS solution represents a more efficient use of capital and infrastructure for nearly all commercial users in buildings of less than 500,000 square feet. Since a passive DAS enhances an existing cellular signal with antennas and amplifiers, it offers a cost-effective and versatile solution. Costs of a passive DAS range from 30 cents to 70 cents per square foot, including hardware and installation. An active DAS, however, is an infrastructure-intensive solution that creates cell coverage within a building by generating and distributing its own cellular signal. This robust option requires a significant investment of time and money, including the construction of a dedicated fiber backhaul. In fact, with hardware and installation, an active DAS costs between $2 and $4 per square foot for a single-carrier solution. For a multicarrier solution, cost increases to $5 to $10 per square foot. In a large project, these estimations can mean project costs upwards of $1 million. From your first contact with a prospect, you and your installation team can have a passive DAS up and running in a matter of weeks. Streamlined installation is the result of a passive DAS being quicker and easier to install. Coupled with the fact that it conforms with FCC regulations and does not require outside carrier approval (with the exception of some industrial products), a passive DAS can be installed quickly and efficiently. With most systems being pre-approved, this solution can transform cellular connectivity in as little as 24 hours. An active DAS, however, must also be approved by other affected carriers, per FCC regulations. This process can take and indeterminable amount of time and must be completed before installation begins. An active DAS project can take as long as 12 to 18 months to complete. While this type of infrastructure-intensive project might make sense for a large arena or extremely large hospital, it’s neither financially nor logistically viable for the average commercial user. When prospects reach out troubled by poor cell signal, they want quality resolution quickly. With less overhead, fewer regulations and lighter equipment than an active DAS, a passive DAS is a more viable option for a wider range of users. As a passive DAS dealer, you can benefit from higher conversion rates due to the system's’ versatility, quality, speed of installation, and wide appeal. Download our guide to learn more about the advantages of passive DAS. Contact us to learn how WilsonPro can eliminate your cusomers' cellular signal problems for good.